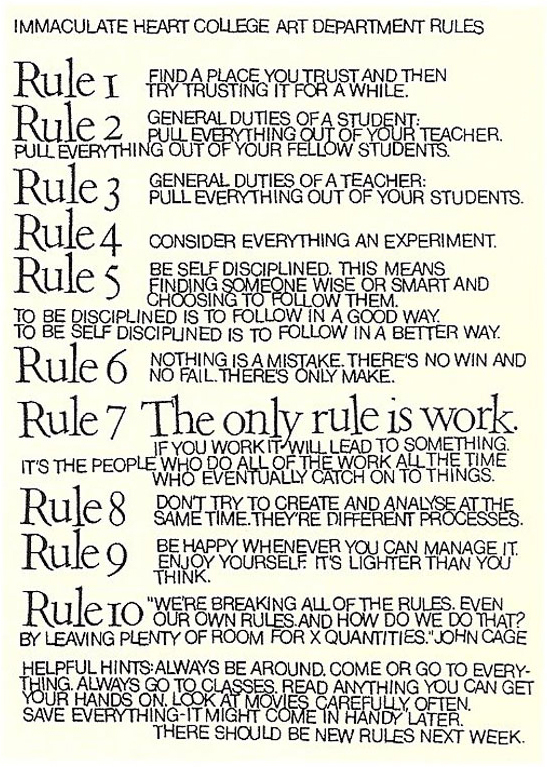 Rule 3 Consider everything an experiment. Rule 6 Nothing is a mistake. There’s no win and no fail. There’s only make. Rule 7 The only rule is work. If you work it will lead to something. Here’s some stuff I do when I’m having trouble getting something going. I scribble or draw on top of an image in an old book or discarded magazine. I make my own coloring book. I rip up paper and glue it down. The most important thing is the doing, the movement, the physical connection with the materials. Eventually, something opens up. And if it doesn’t… well, scribbling has it’s own satisfactions. This entry was posted in coloring book, mandala, scribble on September 4, 2015 by Helen Ellis.